Nun. By the Pen and that which they write! Who teacheth (to write) by the pen. as Allah Has taught him, so let him write. The Genesis of all Creation. I came across this small story from Maktub which reminded of my sufi teacher, Shaykh Muhammad al-Jamal, may God bless him abundantly and give him good health. The master says: “Write! Whether it's a letter, a diary or just some notes as you speak on the telephone - but write! In writing, we come closer to God and to others. If you want to understand your role in the world better, write. Try to put your soul in writing, even if no one reads your words - or worse, even if someone winds up reading what you did not want to be read. The simple fact of writing helps us to organize our thoughts and see more clearly what is in our surroundings. A paper and pen perform miracles - they alleviate pain, make dreams come true and summon lost hope. The word has power. The reason this writing reminded of sufi Shaykh Muhammad al-Jamal's teaching is because when I first took hand with him (sufi bayat or initiation), I found him giving instruction to his many students is to write his book (particularly the Book title, Music of the Soul at that time). He is a prolific writer, so he wrote a number of books on sufi path and as instruction manual in spiritual journey. I found it curious that instead of just reading, he ask his students to write the book (literally copy them) by putting aside regular time to do so as a regular practice. I was reminded of his instruction as I read this story from Maktub. God knows best the wisdom behind in its totality, and Shaykh himself about the wisdom behind the instruction of writing. But one can safely say that when it comes to deep teaching, mere reading is not enough (specially with a mind that's always having ten thousand distractions). Writing slows down and make whole the absorption process as compared to just reading. While simultaneously reading and writing - the writer is immersed more deeply into it. And by the grace of the Shaykh, the inspiration and gnosis with which the book was received and written, can also transfer to the reader and writer. Infact a sincere student enters into the magnetic field of the spirit of the guide when one absorbs himself or herself in the flow of consciousness through concentrating on the writing. It is as if like the hand and the pen and the person enters into the personality of the teacher when the student rewrites the book. Apart from this pure esoteric dimension of writing, writing can simply be a spiritual practice. From exoteric perspective writing can be therapeutic, psychologically it is an access and communication with the subtle, subconscious part of our self and ofcourse it is an avenue of expression to others which itself can be powerful healing too. In the spiritual practice of writing, there is another important benefit of it. Since the feeling and emotions and experiences in the realm of spirituality are often can not be shared so easily as any other conversation topic like the weather or traffic or price in the super market; keeping a spiritual journal, writing letters to friend of spiritual intelligence can become the most practical exercise. "If you want to understand your role in the world better, write. Try to put your soul in writing, even if no one reads your words.."
A human being is not only flesh and bones but also of spirit, thus the need to share experiences of spiritual nature is also a drive of the soul. It begins with an awareness of the hidden world, and awareness of what is within. We then turn inward in order to process what we've absorbed. Or, as Buddhist author Natalie Goldberg puts it, to "compost" our vision. Then we return our attention to the outward world by writing - connecting with others through the words we choose, nourished by the composting we've done in the soil of our lives. Writing can be a more fulfilling spiritual practice if we approach it with the presence what Zen calls beginner’s mind. Natalie Goldberg says: "Beginner’s mind is what we must come back to every time we sit down and write. There is no security, no assurance that because we wrote something good two months ago, we will do it again. Actually, every time we begin, we wonder how we ever did it before. Each time is a journey with no maps." When we realize our words can help, heal, enlighten, and bring peace to our human family, we begin to realize the significance of our practice. Writing is a sacred practice. The knowledge of writing was given to mankind as a gift to accelerate its journey of consciousness. That is why in the Final Testament the knowledge transmission is symbolized by the saying that "God taught by Pen" where Pen is an archetype of that which records. The concept of divine tablet that records everything is found in other place of the Quran. The reflection of this concept that 'everything is written / recorded' in some Cosmic Repositories can also be traced in human DNA which even though being so tiny in shape contains the whole host of human characteristics from not only parents but many past generations in terms of gene. That tiny microcosm or DNA, the repository of human genome contains approximately three billion chemical base pairs. Imagine that! From microcosm to macrocoms. As above so below - as outer, so is inner rules. The divine law of recording also applies to the spiritual inner works and dimensions. In far east the practice of sacred calligraphy is a sacred art that combined meditative instruction text from higher masters with beauty and concentration. The Illuminated Manuscript writers were sacred artists and spiritual personalities also practiced the art of writing as spiritual practice, specially in the Judeo Chrstian tradition before the invention of printing press or its popularity. Even today we find many spiritual teachers ask their students to keep spiritual diary, dream journal to record and give an opportunity for the inner self to express itself and register that to the outer world in a more clear way. The earlier practitioner of writing in human history when writing was still a privilege for common class - they were primarily writers of scared texts and scriptures. Thus at the genesis of writing is connected to sacred already. The central role of Quran had a major impact in Muslim world. In earlier days Quran was copied manually and many sufi saints had the practice of writing the Quranic scripture by hand. Even some used to earn living by copying the Quran. What people often forget that the very process of writing the holy scripture was practiced as a very powerful meditation practice. Like the Torah, each letter even the dots in Arabic Quran is sanctified. Thus any practice concerning its reading and writing, both holds great merit to the pious muslim. "The ink of a scholar is more precious than the blood of a martyr." - as it is found in Islamic Sacred tradition. Following the footstep of their Mystic Guide, Prophet Muhammad, many sufi saints used to send letters of instruction / advice to others to invite people to truth. There involved the practice of writing as well. The Hundred Letters of Shaykh Sharafuddin Maneri is a collection such valuable letters. 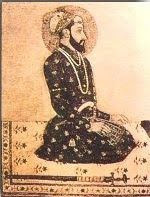 Aurangzeb, a pious muslim ruler who ruled vast territories of India from 1658 to 1707, did not draw salary from state treasury but earned his own living by selling caps he sewed and selling copies of the Quran he copied by hand. Writing as spiritual practice can be traced in many great saints, philosopher and poets who all were brilliant writers of their time. 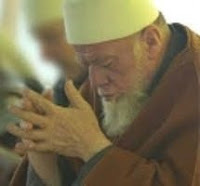 After the loss of his Perfect Master, Shams Tabriz, it was through his ceaseless outpouring of grief of separation as writing that did Jalaluddin Rumi discovered himself and also found Shams in that very writing to the deepest extent that he calls one of his masterpiece during that time as "Diwan e Shams" (The Book of Shams). Little did Irina Tweedie know that her trip to India in 1959, at the age of fifty-two, would mysteriously lead her to a Sufi Master, and set her upon a journey to the "heart of hearts," the Sufi path of realization. Her teacher's first request of her was to keep a complete diary of her spiritual training - everything, all the difficult parts, even all the doubts. He predicted that one day it would become a book and would benefit people around the world. This diary spans five years, making up an amazing record of spiritual transformation . . . the agonies, the resistance, the long and frightening bouts with the purifying forces of Kundalini, the perseverance, the movements towards surrender, the longing, and finally the all-consuming love. From a psychological viewpoint, the diary maps the process of ego dissolution, gradually unveiling the openness and love that reside beneath the surface of the personality. Feeling beauty is a necessity for truth telling. I don't think you should write unless you feel the beauty of truth and the truth of beauty. Forget about feeling safe when you write. Forget about finding shelter and step out! Let's get in the ocean - dive into the dangerously deep part of life! May you also find a way to express yourself in writing, be it in private journal or print media or web. And thus discover the beauty and truth and in the process connect with the divine center from where all flows. Return like that to the source of all Sources. Peace! You hearts know in silence the secrets of the days and the nights. But your ears thirst for the sound of your heart's knowledge. You would know in words that which you have always known in thought. You would touch with your fingers the naked body of your dreams.